Russian investigators say Greenpeace activists who attempted to board an Arctic oil platform in the Barents Sea “posed a real threat” to employees on the rig. The environmental organization says the action was non-violent and demands the crew be released. 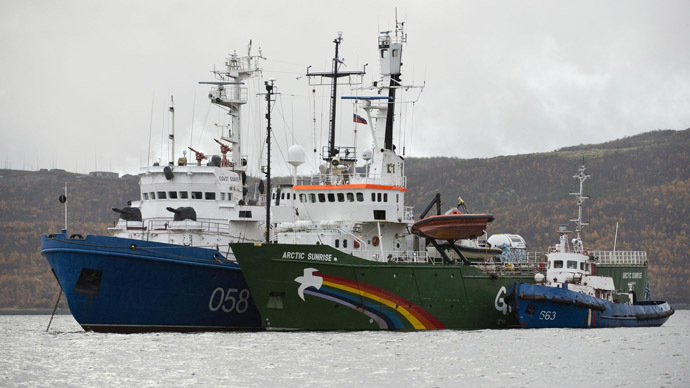 All 30 crew members of Greenpeace’s Arctic Sunrise vessel are currently in a pre-trial detention center under a Murmansk court ruling. The activists, who come from 18 different countries, were arrested following their protest at Gazprom’s Prirazlomnaya oil platform earlier this month. A criminal case was launched under claims of alleged piracy – which is punishable by up 15 years behind bars under Russian law. So far, however, no charges have officially been brought against any of the ship’s crew members. Greenpeace denies any accusations, claiming the protest was peaceful and not aimed at causing harm to those working on the drilling platform. Russia’s Investigative Committee has set up a special group comprised of investigators and criminologists to probe into the September 18 incident. Investigators are continuing to examine the Arctic Sunrise and have already seized equipment and documents from the vessel, which will be examined in order to identify their intended purposes, the committee’s press service said on Monday. “And at the moment the picture looks as follows: a group of people aboard the Arctic Sunrise carrying a lot of equipment - the purpose of which has not been identified. [They] breached the 500-meter safety zone of the Prirazlomnaya platform and approached it," the committee’s press service said. 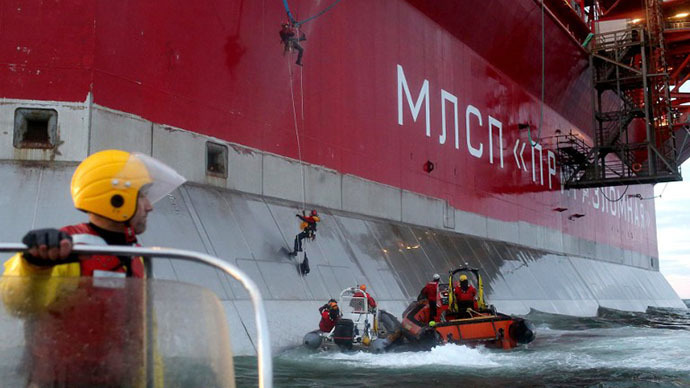 The activists ignored the warning from the rig’s security service, lowered several boats to get closer to the rig, and then attempted to climb onto the platform, it added. “They also ignored the demands by representatives of the authorities to stop their illegal actions...they [also] tried to ram the boat with border guards," the Investigative Committee representative told journalists. 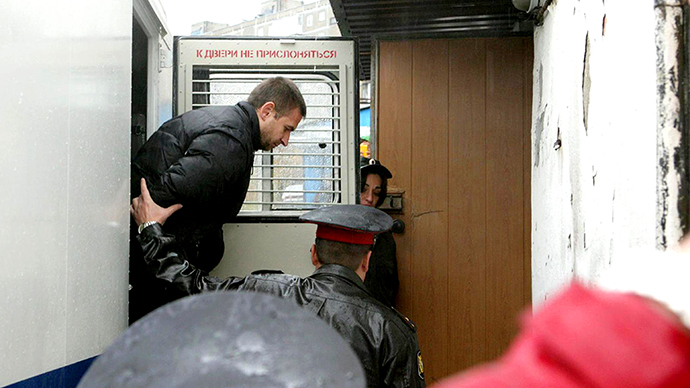 According to investigators, the activists’ actions posed a threat to the personal security of staff and property at the Prirazlomnaya platform. The activists also resisted law enforcement. Such actions, the committee said, are punishable by law, “no matter on what pretext they were conducted.” The committee added that so-called “peaceful” goals do not serve to justify the activists’ actions. Greenpeace insists the protest was non-violent and that documents and equipment seized by investigators prove that - “unless something else was placed stealthily,” as the vessel has been in the hands of law enforcement for several days, Sergey Tsyplenkov, head of Greenpeace Russia, told Interfax. The organization denied that the environmentalists created any kind of threat to the safety of the platform’s personnel, as the activists had nothing but banners and ropes with them. The Arctic Sunrise did not breach the 500-meter zone, the organization said, adding that satellite data proves their statement. They admitted that inflatable boats “used for the peaceful protest” did get close to the oil rig, but were of no danger to the platform, which is placed on a steel basement in order to protect it from ice. 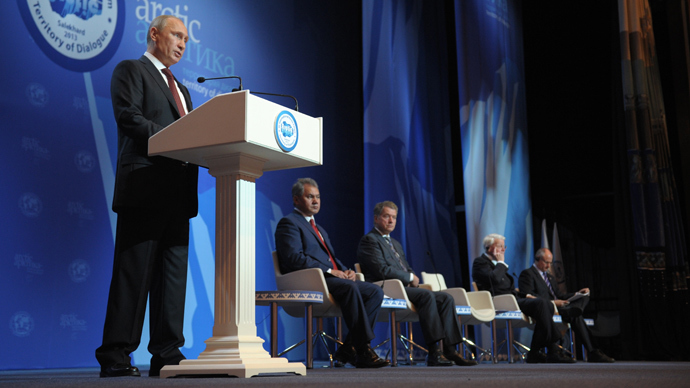 “Boats indeed approached the Prirazlomnaya, the 500-meter zone was violated. Obviously, it’s not piracy at all,” Tsyplenkov said. He believes the maximum penalty that activists should face is an administrative fine. Meanwhile, lawyers for 22 of the Arctic Sunrise crew members have appealed the decision by a court in the northern Russian city of Murmansk to place them under custody for two months. Eight remaining activists were put into custody on Sunday. This court ruling will also be appealed later, Greenpeace’s press service told Interfax. Greenpeace stated earlier that one of the arrested activists, Finnish alpinist Sini Saarela – who has no thyroid gland -was running out of medication required for her condition. However, the Russian prison service denied the claim, saying that she has enough medicine for about one month and remains under medical supervision, reported RIA Novosti. The service added that if needed, Saarela will be provided all the necessary drugs. The arrested activists are being held under acceptable conditions and have so far made no complaints, Greenpeace said on Monday. 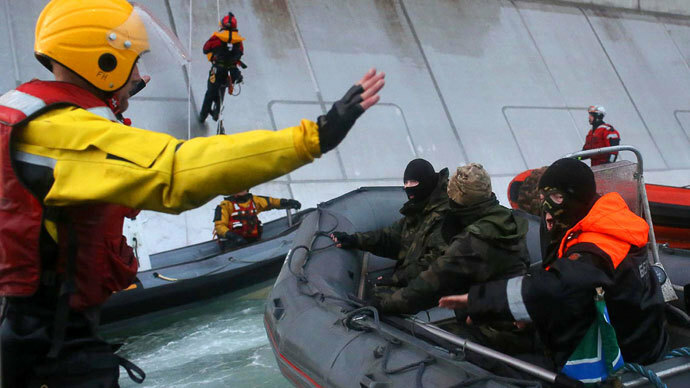 On September 19, a task force of the Russian Federal Security Service, or FSB, took over the Greenpeace vessel and towed it to Murmansk with the crew on board. 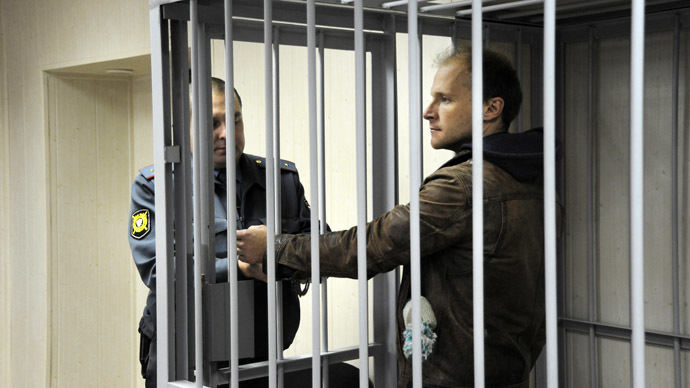 All the crew members – including Ukrainian cook Ruslan Yakushev, Russian freelance photographer Denis Sinyakov, and freelance UK videographer Kieron Bryan – are to remain in custody until November 24. Ukraine’s Foreign Ministry said on Monday that it was going to summon a representative of the Russian Embassy in Kiev to hand over a diplomatic note over the arrest of Yakushev. 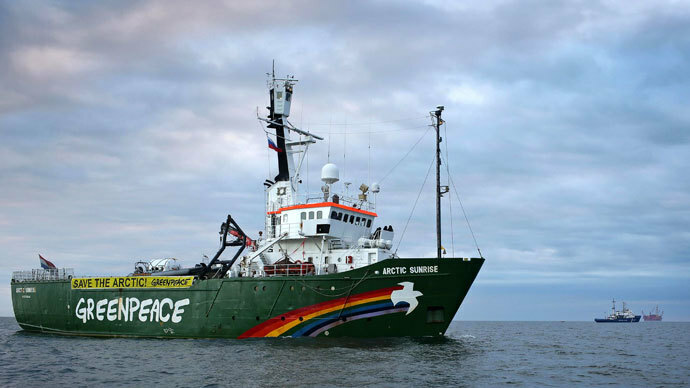 According to Greenpeace, “663, 000 emails have already been sent” to Russian embassies across the globe by supporters demanding the release of the Arctic Sunrise crew. Greenpeace is against drilling for oil in the Arctic region, believing it puts a delicate environment at risk because it is impossible to sufficiently clean up potential oil spills.